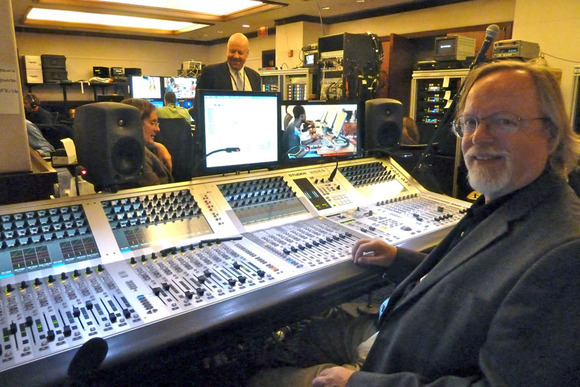 NEW YORK, New York - Front of house audio mixer Mac Kerr recently used HARMAN’s Studer Vista 5 digital console for the Clinton Global Initiative in New York City. Founded by President Bill Clinton, the Clinton Global Initiative included meetings between world and private sector leaders, chief executives of companies, and directors of major nonprofits in the hopes of making a positive change in the world. During the conference, attendees heard from inspiring speakers who shared their points of view on the world, and learned about creative approaches taken by major organizations in the hopes of sharing common insights and ideas and making connections with other members. In all, there were six different venues feeding stems from the different briefing rooms. These had to be mixed with audience involvement taken into account as well. “It was a great advantage for us running everything on fiber, as it eliminated the electrical connection with a ton of background noise. All the sound systems connected together with remote racks in the venues, making it easy to troubleshoot with only one patch point,” Kerr explained.